Theme – We can. I can. Taking place under the tagline ‘We can. 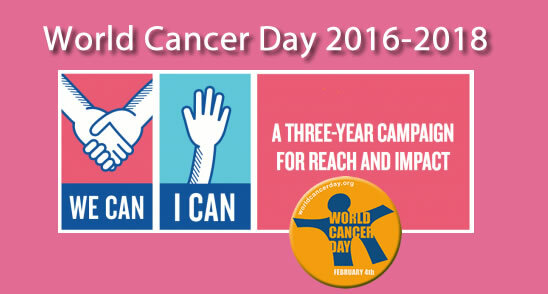 I can.’, World Cancer Day 2016-2018 will explore how everyone – as a collective or as individuals – can do their part to reduce the global burden of cancer. Just as cancer affects everyone in different ways, all people have the power to take various actions to reduce the impact that cancer has on individuals, families and communities. World Cancer Day is a chance to reflect on what you can do, make a pledge and take action. Whatever you choose to do ‘We can. I can.’ make a difference to the fight against cancer. Copyright © 2015 - 2018 Nigerian National System of Cancer Registries (NSCR). All rights reserved.